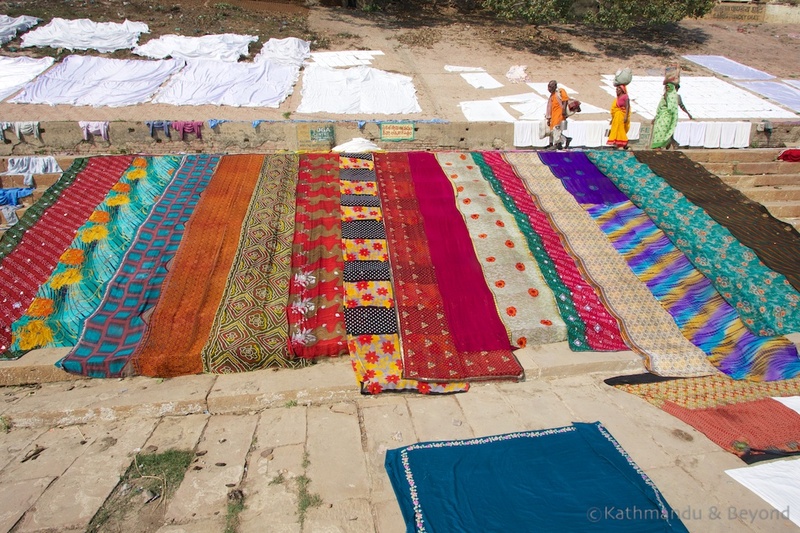 The term ghat in India refers to the series of steps that lead down from the riverbank to the water’s edge. It’s a common word, often used to describe any access point to water but in its correct context it refers to the steps that lead down to a holy body of water. 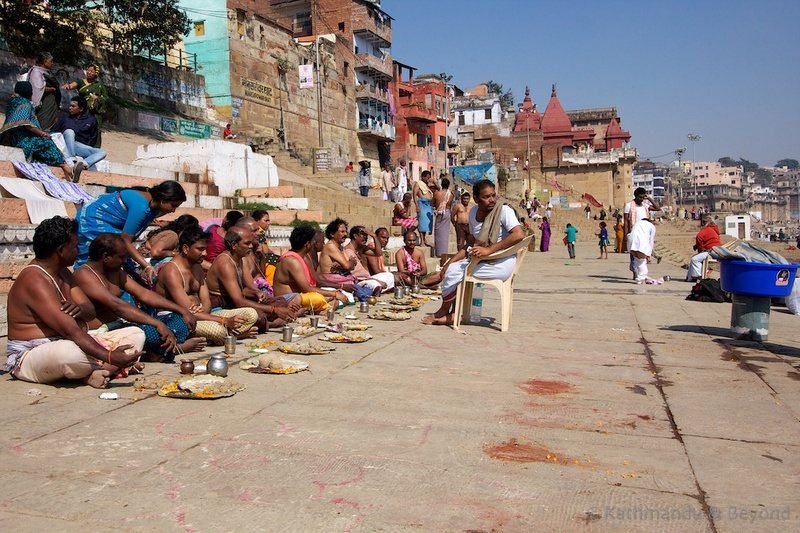 It is not surprising then, given Varanasi’s status as one of the most spiritual cities in India, that there are numerous ghats along its section of the holy River Ganges. 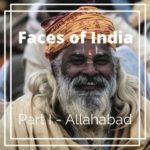 Solitary Sadhus, meditating pilgrims, entire families, organised groups and the odd wandering cow are but a few of the wide-ranging people (and animals) that you will set eyes on in this part of the city. 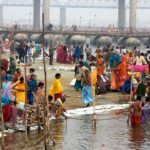 Thousands make their way to the ghats on a daily basis and the atmosphere on the banks of the River Ganges is always mesmerising. ‘Brace yourself. You’re about to enter one of the most blindingly colourful, unrelentingly chaotic and unapologetically indiscreet places on earth’. No truer words have been said about the city! 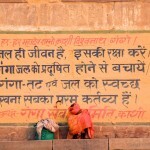 Varanasi, like Kolkata further to the east, is one of those cities in India that visitors either love or hate. 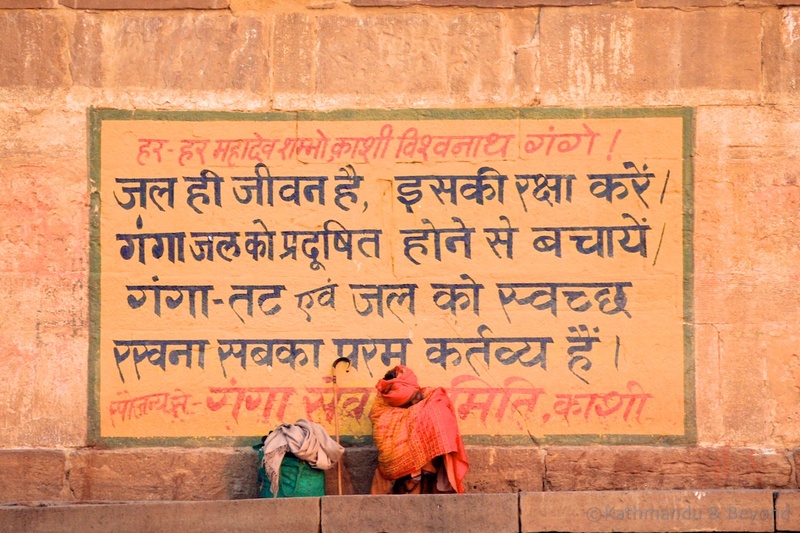 Hate is a strong word, I know, but many people we meet and talk to about their experience in the city think there is no middle ground when it comes to Varanasi and it reminded me of the first time I visited the city. In the late 1980s, I started my first proper job, as a tour consultant for a UK-based tour operator then called Bales Tours (later changed to Bales Worldwide). Bales Tours was a small, upmarket, family-run company (that sadly no longer exists) and the sales department was split into the Middle East and Long Distance. I worked in the Long Distance department. We basically handled enquiries and bookings for everywhere else in the world that the company operated tours to apart from the Middle East (Asia, Canada and South America). The term Long Distance used to, and still does, make me laugh – you often felt like you were working in a telephone exchange in the 1950s rather than a tour operator in the late 1980s when you picked up a ringing phone, put on your poshest voice and politely announced ‘Bales Tours, Long Distance department. Can I help you?’. Anyway, I digress. About six months after joining Bales Tours, I was told I would be going on my first overseas trip, a group tour to India and Nepal as a trainee/assistant tour leader. The tour was imaginatively called Images of India and Nepal and its itinerary was London – Delhi – Jaipur – Agra – Varanasi – Kathmandu – Delhi – London. The duration was fifteen days. Bales was quite an old-fashioned company back then and I was given a couple of pep talks before departing. The first was from Mrs Bales herself. She went through the appropriate dress code (shirt and tie on the flight and a jacket for dinner – I kid you not! ), what was expected of me and how I should behave in front of the clients. Mrs Bales had a long-standing fondness for India and ended our little meeting by telling me that she hoped I would return to the office with great enthusiasm for the country and become a converted Indophile (*). (*) Yes, before you say it, Mrs Bales was rather like a school mistress, albeit an affectionate one, who I ended up greatly admiring. As a term of respect, you never called her by her first name, although after several years of working there and rising through the ranks to management level, I did sometimes get away with calling her Mrs B! My next talk was from my manager, Fiona. She ran through the practicalities of the trip – how my report should be written, what hotels I should go and see over and above the ones I was staying in and most importantly, what type of whisky I should buy at Heathrow Airport for our man on the ground, Ranjit (*). Fiona had (and still has I am sure) a passion for India that, even before I had stepped foot in the country, was infectious for me. She got me excited about my pending trip and briefed me thoroughly on what to expect. 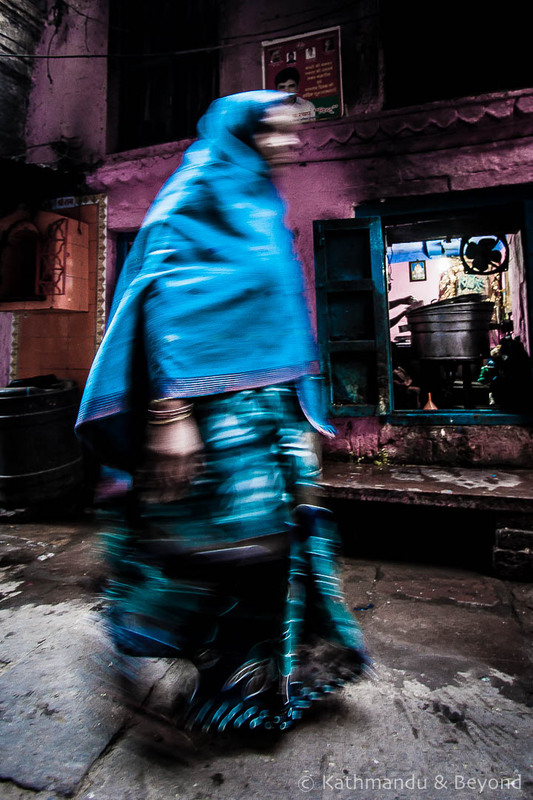 She told me (correctly) that India would be like nowhere else I had ever visited (I hadn’t been outside of Europe and the United States at this point) and that Varanasi would be a massive assault on the senses. She also briefed me that helping to lead a thirty-strong group of (mostly doddery) tourists through Varanasi’s hectic backstreets to the riverfront would be one of the most challenging parts of the tour. Fiona wasn’t wrong. 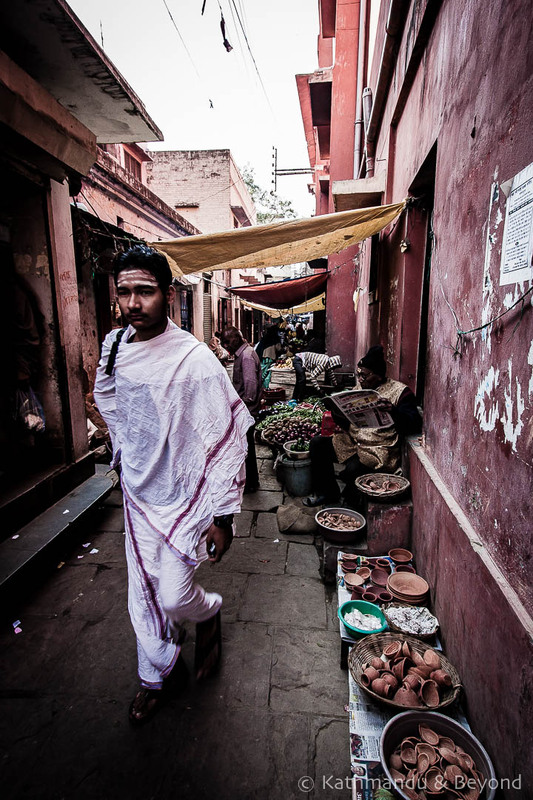 Varanasi did indeed smack me in the teeth like no other city on the tour but I loved it and when I returned to the office and she asked me what was my highlight and I told her Varanasi, she nodded in a I knew it would be kind of way and allowed herself a knowing smile. In comparison, my third and final briefing before embarking on my first trip to India couldn’t have been more different. This one was from Sarah-Jane, my deputy manager. 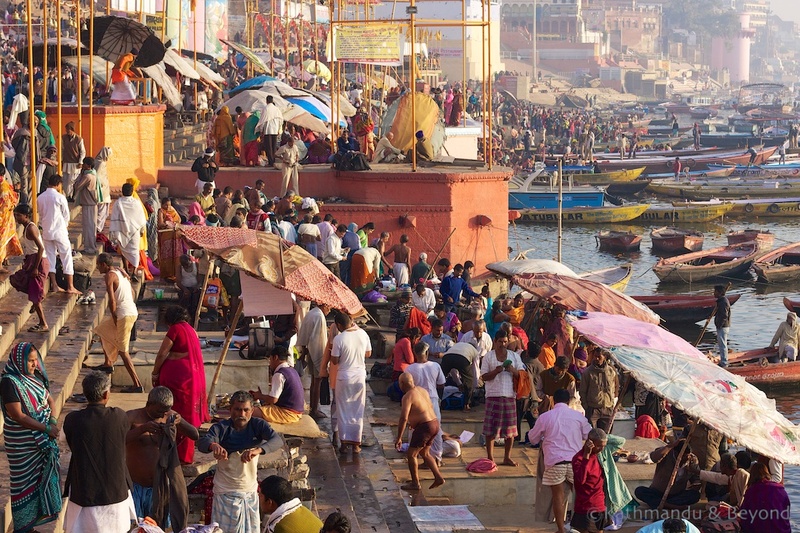 In contrast to Fiona, she disliked India immensely and reserved a special loathing for Varanasi. ‘The Taj (Mahal) is impressive enough I suppose if you like that sort of thing and the hotels (all five star or former palaces) you are staying in are pretty good,’ she told me, ‘but Old Delhi and that f***ing s***hole, Varanasi, are awful places. Too many f***ing people, cows and sh*t everywhere plus the place f***ing stinks. You’ll hate it!’. I laughed and told her I would give her my opinion when I got back from the trip. We worked together for many years thereafter and I could never convince her that India was one of the most incredible countries on the planet! Anyway, that’s enough of my trip down memory lane. The point I’m trying to make is that Varanasi is, IMHO, the most captivating city in India, but it doesn’t take long before it becomes unbelievably annoying and begins to really grate on me (too many f***ing people, cows and sh*t everywhere etc, etc. ), but the best way to avoid joining the hate gang is to stay in a place a few kilometres away from the heart of the action, surround yourself in a little bit of tranquility (as much as that is possible in India) and dip your toe in as and when you are ready. 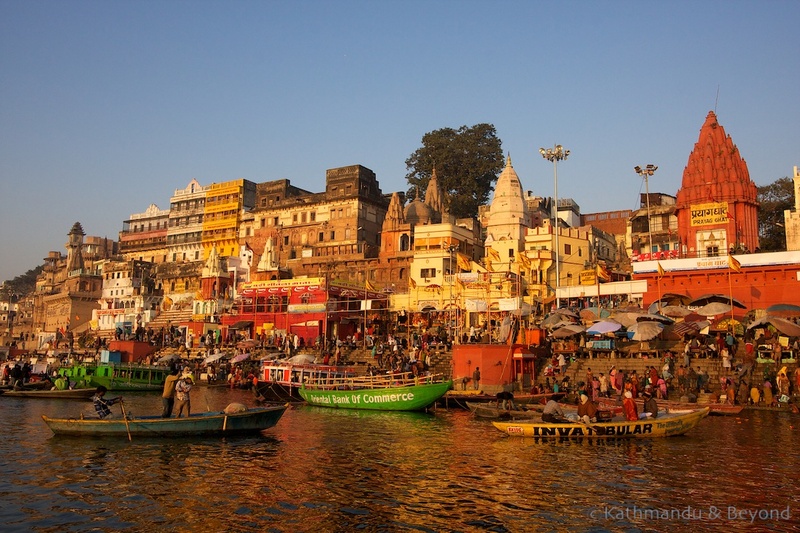 It works for Kirsty and me and ensures that our passion for ancient Benares remains as strong as ever. And if all else fails, hunt down one of the sleazy liquor shops that are scattered throughout the city and buy yourself a couple of bottle of either 7.5% Godfather Strong or 8% Knock Out beer – either will certainly help to dull the senses! Thanks Doug. I also remember sleeping in retiring rooms at railway stations in both India and Pakistan. They were pretty good places to stay – cheap and usually pretty clean from what I recall! Hobnobbing with Brahmins, that’s pretty cool. Not sure I’ve ever done that although I have been known to mingle with maharajahs and other such princely bods in my time! You’ve mingled with maharajahs? That would be an interesting post. Great story, enjoyed this post. I guess we all have odd characters we’ve worked with in the past that have left their mark on us. 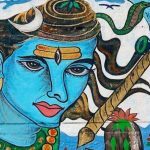 Varanasi – hmm, I think we would most likely hate it for the exact reasons Sarah Jane hated it “too many f****** people…”. Having said that I’m curious to one day see India. Thanks Frank. India is one of ‘those’ places. Sometimes it drives me nuts, other times it’s simply incredible and the best place on the planet. Indeed, when asked, both Kirsty and I would agree that India is our all time favourite country. If you ever do decide to go, pick a small part and don’t be too ambitious. 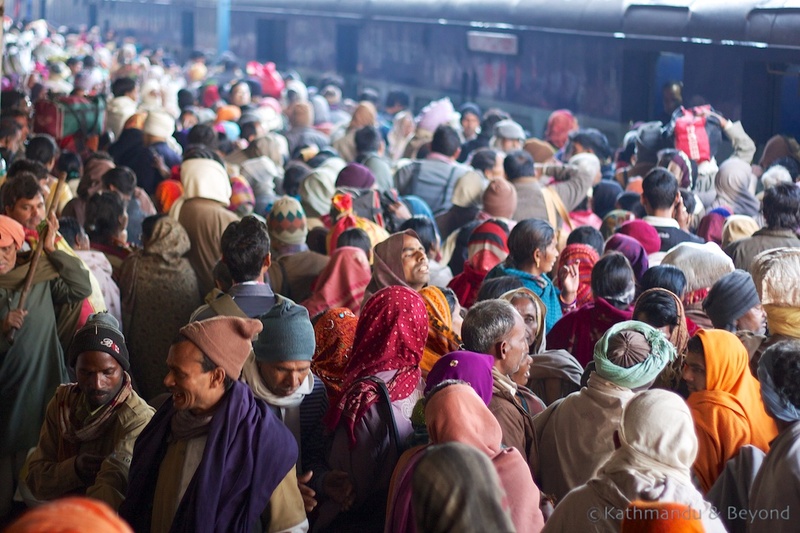 Many people are negative about India because they try and cover too much ground in too little time and travelling in India is tiring. 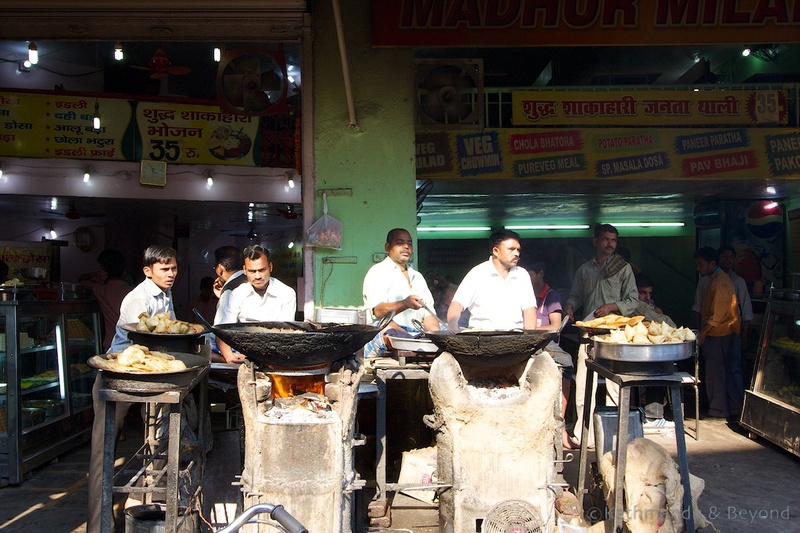 We would go crazy for all the Indian food (love the stuff) but would probably spending our whole time there on the toilet with the stuff coming out both ends. That’s what actually makes me the most nervous about India. That and people gathering around us and staring because apparently that’s all they do judging by all the travel shows we’ve seen on India. I’ve always been curious Rajasthan and some of the cities and geography in that area. Maybe one day. Well, some interesting comments here! 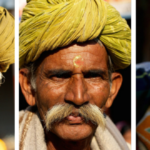 4 of us are traveling to India this year, and it is a lifelong dream of mine (the other 3? not so much)….I am a bit nervous about confronting the abject poverty we hear about…how does one handle the children? Do we bring small gifts? should we dole out coins? Any suggestions would be greatly appreciated…btw, we are staying in the HEART of the city, so wish us luck!